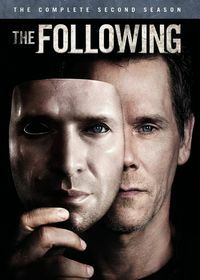 The Following: A Telemystery Series. 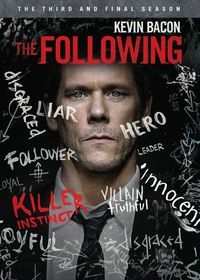 When Joe Carroll (James Purefoy) escapes from death row and embarks on a new killing spree, the FBI calls former agent Ryan Hardy (Kevin Bacon) to consult on the case. Having since withdrawn from the public eye, Hardy was responsible for Carroll's capture in 2003, after Carroll murdered 14 female students on the Virginia college campus where he taught literature. 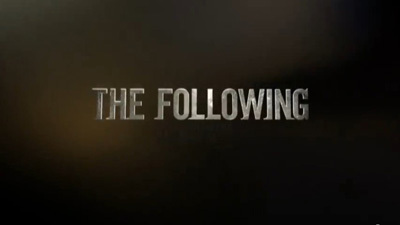 This Fox thriller premiered in January 2013 and aired for three seasons. Original US air dates: 01/21/2013 to 04/29/2013. Original US air dates: 01/19/2014 to 04/28/2014. Original US air dates: 03/02/2015 to 05/18/2015.